LACE BUGS: NOTHING TO WORRY ABOUT? Lace bugs are insects that are present throughout Kansas feeding on a variety of plant types; however, lace bugs are not really a major insect pest of garden and landscape plants because they typically do not inflict significant direct harm to plants. Nonetheless, abundant populations may reduce the aesthetic appearance of certain plant types. Lace bugs feed on a wide-range of trees and shrubs, including: azalea, basswood, cotoneaster, hawthorn, linden, oak, rhododendron, and sycamore. Herbaceous plants susceptible to lace bugs include: aster, chrysanthemum, and scabiosa. The major plant-feeding lace bug species include Stephanitis spp., and Corythucha spp. Stephanitis spp. are primarily pests of broad-leaved evergreens, whereas Corythucha spp., including the sycamore lace bug (Corythucha ciliata) are pests of deciduous trees and shrubs. 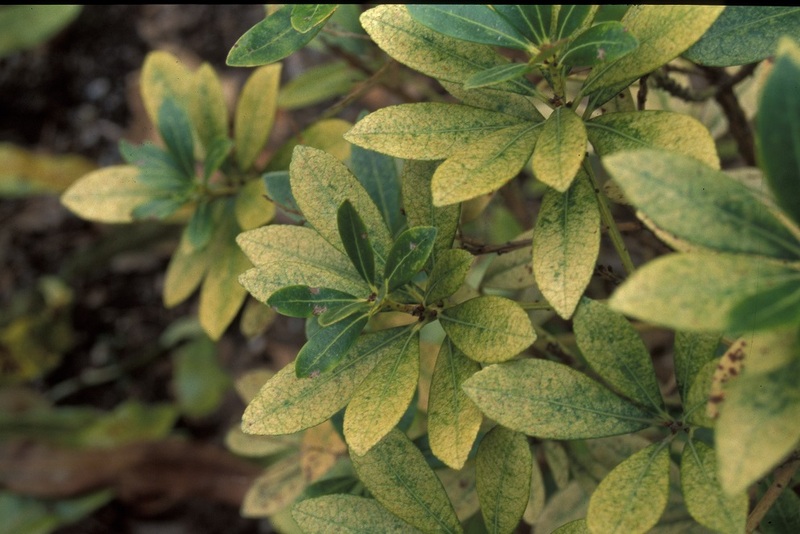 Fig 1: Lace bug damage on azalea plant. Note the stippled and/or bleached appearance of the leaves. Fig 2: Black, tar-spot-like droplets of lace bug excrement. 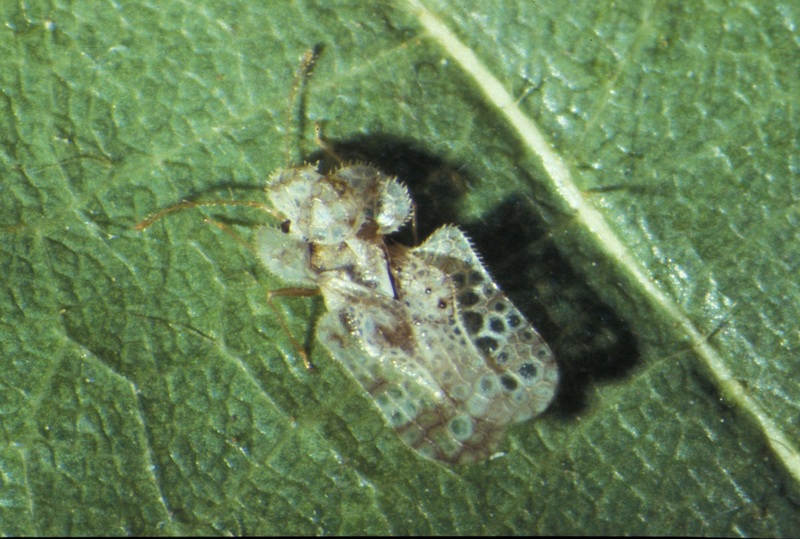 excrement (“Lace Bug Poop”) on leaf undersides (Figure 2). 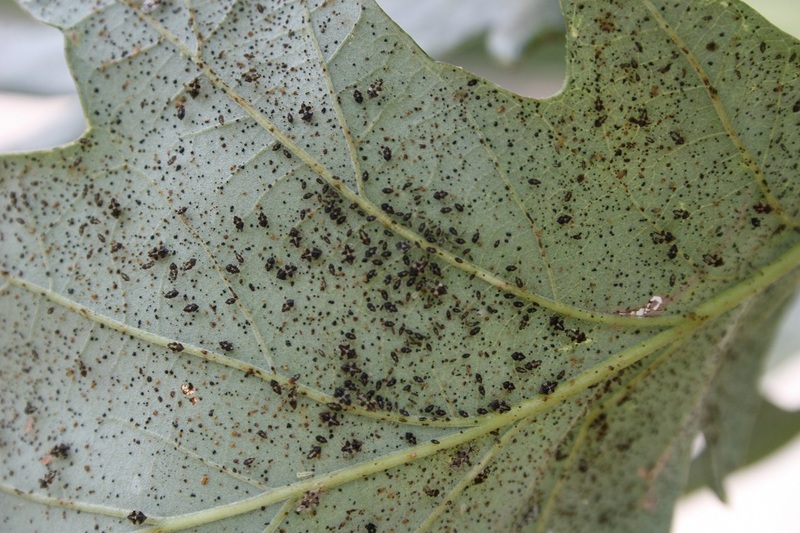 The presence of black excrement distinguishes lace bugs from spider mites and/or leafhoppers. 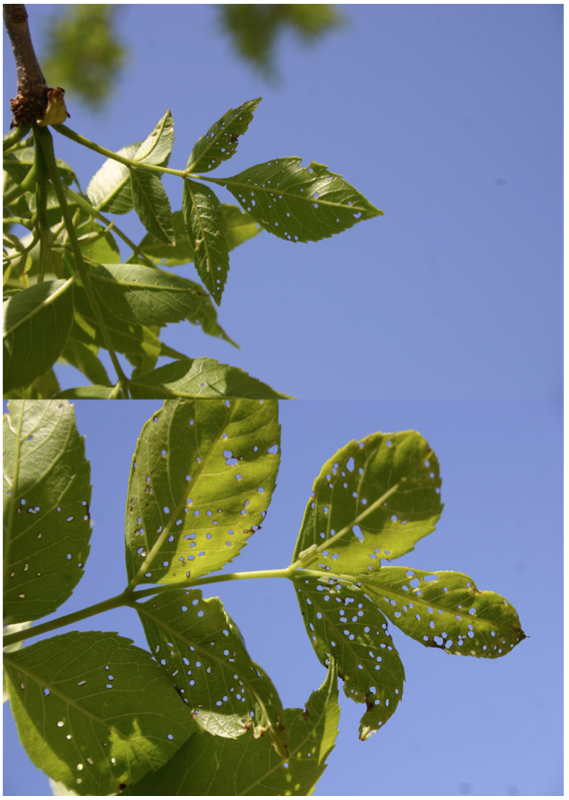 Excessive lace bug populations and extensive feeding may reduce plant vigor; however, any direct plant effects are dependent on plant age and size (especially young or newly-transplanted trees and shrubs). Adult lace bugs are very distinguishable and quite attractive. The adults possess lacy, clear, shiny wings that are held flat over the body (Figure 3). Fig 3: Close-up of lace bug adult. They are 1/8 to 1/4 inch (3 to 8 mm) in length, and move sideways when disturbed. Female lace bugs lay between 20 to 50 eggs during their lifespan underneath leaves. The eggs are usually positioned alongside leaf veins and are black and shaped like a wine flask. Shiny, black nymphs with spines around the periphery of the body emerge from the eggs (Figure 4). 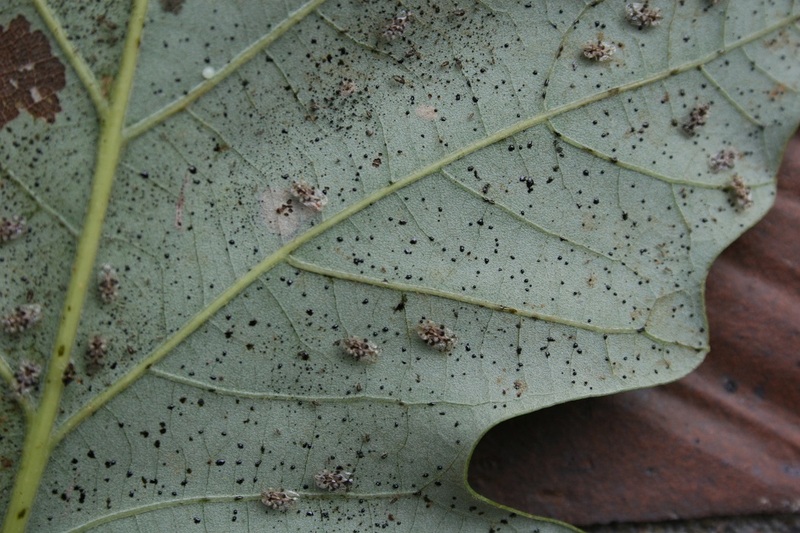 Fig 4: Lace bug nymphs on leaf underside. Nymphs undergo five instar stages before reaching adulthood. Shed skins on leaf undersides are evidence of nymphs that have transformed into adults. The life cycle (egg to adult) generally takes about 30 days to complete. There may be up to three generations per year although development is contingent on temperature. Stephanitis spp. overwinters as eggs that are cemented onto leaves and Corythucha spp. overwinters as adults in bark crevices and branch crotches. Adult activity commences in the spring when leaves unfold. Lace bugs are more abundant on plants such as rhododendron and azalea that are exposed to full sun rather than on plants in shady locations. The management of lace bugs is generally not warranted because lace bugs are susceptible to many natural enemies including predators; such as, green lacewings, plant bugs, assassin bugs, minute pirate bugs, and spiders. 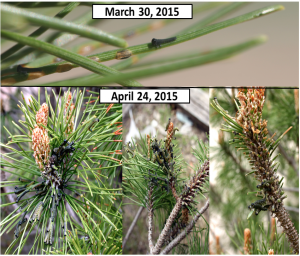 A forceful water spray may be effective in quickly dislodging lace bugs from plants. However, if necessary, a number of contact insecticides registered for use against lace bugs can be applied. Be sure to read the label to make sure lace bugs are listed. Be sure to thoroughly cover leaf undersides to maximize the effectiveness of spray applications because the leaf undersides are where all the life stages (eggs, nymphs, and adults) of lace bugs are located. If you have any questions regarding the management of lace bugs contact your county horticultural agent, or university-based or state extension entomologist. Based on reports posted by Department of Entomology Diagnostician regarding her having received specimens of adult brownheaded ash sawfly, I went out to a site where ash trees have been heavily infested the past couple of years. And, they are back. Though from a distance all appears normal, upon closer look, “pinhole feeding” is underway. By enlarging the image, the still-wee-larvae responsible for the “nibble holes” can be easily seen. To treat or no-to-treat becomes an individual’s decision. Should trees become defoliated, they will rapidly recover, producing a flush of new foliage. 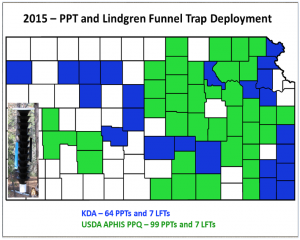 The KDA has recently issued a brief news release on the 2015 deployment of traps for the detection of Emerald ash borers in Kansas. This is a cooperative effort between two regulatory agencies: Federal United States Department of Agriculture APHIS-PPQ, and the Kansas Department of Agriculture’s Division of Plant Protection and weed Control. The majority of traps will be the familiar purple prism traps. Additionally in 2015, Lindgren Funnel Traps (LFTs — inserted image, left side of above map) will also be used —- those traps will be green-in-color as opposed to the pictured black LFT. 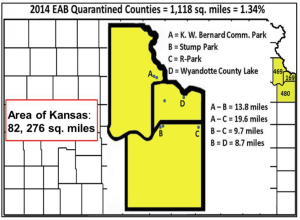 Within Kansas: Emerald ash borers have been documented in 3 (currently quarantined) counties: Leavenworth, Wyandotte and Johnson. 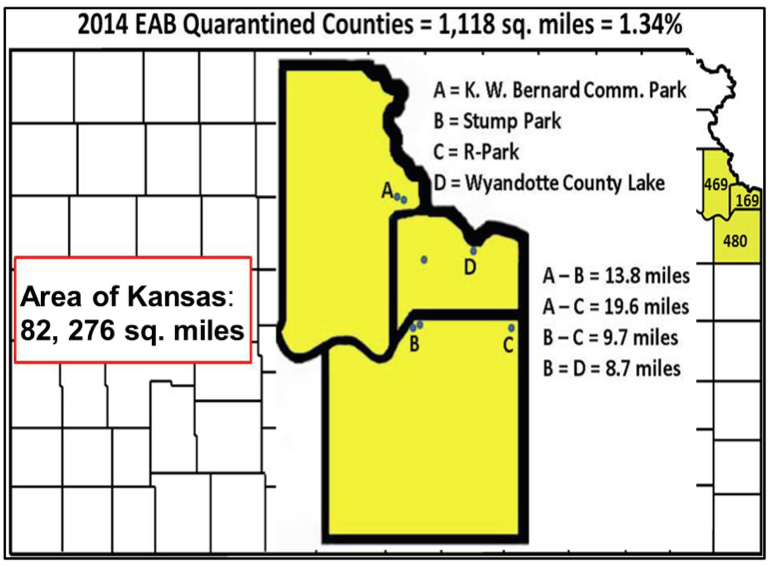 EAB are relatively restricted within those contiguous counties. In last week’s edition of the Kansas Insect Newsletter, Dr. Cloyd presented information on Ash/Lilac borers including the use of pheromone traps to determine the onset of current-season ALB moth activities. Coincidentally on the date that the newsletter went out (April 16), I recorded first-of-the-year catches (in the Manhattan area). The latest catch was April 21. Now is the ideal time to initiate insecticide applications for controlling ash/lilac borer. 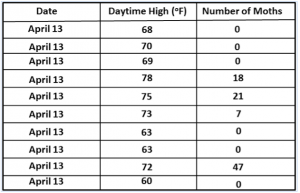 As suggested by Dr. Cloyd, “Insecticides containing the active ingredients, permethrin or bifenthrin may be applied to the bark at least up to six feet from the base…….”. Also, treat larger limbs within reach. 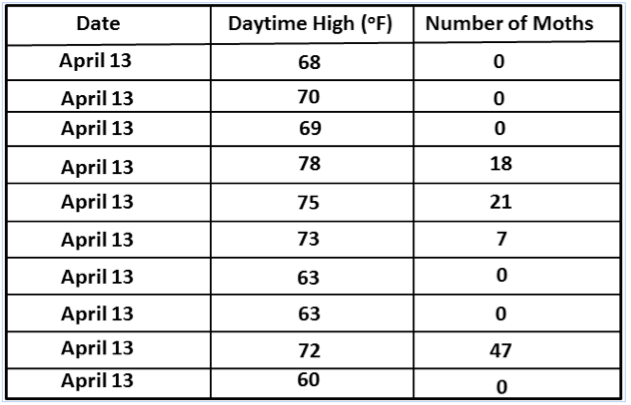 While recent cool temperatures have had people wondering when warmer temperatures will prevail, both ETC and EPS have thrived —– not surprising because these are cool-season insects. Currently, Eastern Tent Caterpillar “tents” are of sufficient size that they can be easily detected. If people object to the presence of webbing and caterpillars, and if within hands-reach, the easiest remedy is to use your fingers to “rake-out” the web. Preferably do this during daylight hours when most (if not all) caterpillars are “resting” within. Do not fret if several caterpillars fall to the ground —- individually, the few escapees are of no concern. If a person is skittish about touching web masses (and the caterpillars and frass within), that portion of the branch can be pruned and disposed of. 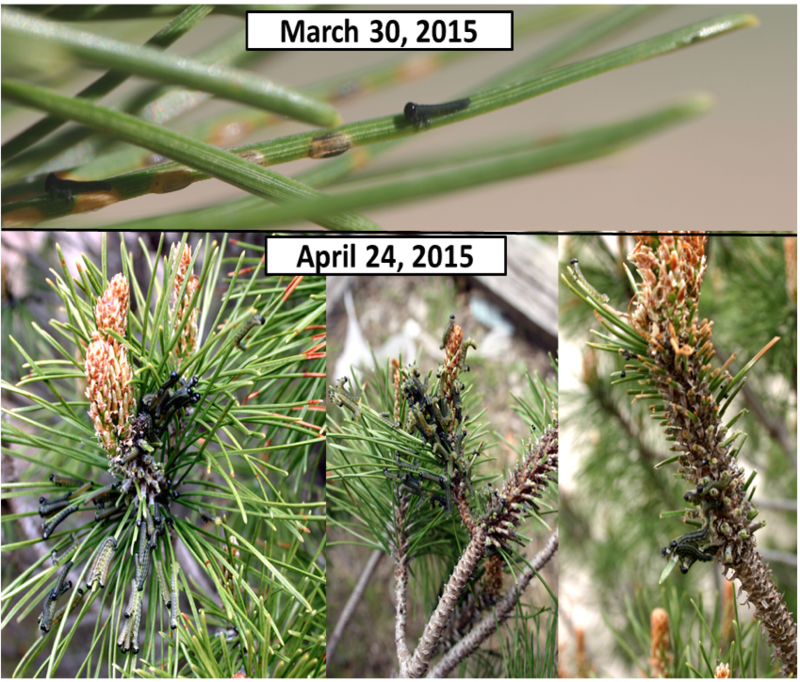 European pine sawflies require a different approach because it is impractical to prune out each infested terminal. Fortunately, EPS are highly susceptible to insecticides. There are numerous products registered for use in Kansas against EPS. Horticultural oils and soaps are very effective against the “soft-bodied” larvae. A single thorough application will eliminate EPS larvae. But do so NOW before they become thoroughly destructive.